Salt Water fishing is exciting. You never know what you will catch. Click on an item to purchase that item or to browse like items. To purchase other items, enter the item in the search bar. 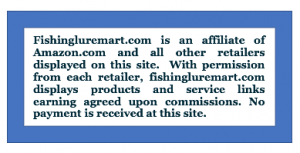 Click banners to link to other products and services. An old surf-caster once told me, “You have to fish in salt water to catch salt water fish.” Wow, that’s deep (sorry about the pun)Most people haven’t gone salt water fishing because they aren’t are not near salt water. From casting a sea-worm at the neck of a bay for cod in the outgoing tide to trolling for marlin on the open sea, salt water fishing is thrilling because of potential species and size. A successful day of salt water fishing generally requires more specialized equipment than fresh water fishing. On shore fishing, depends on awareness of the tides. 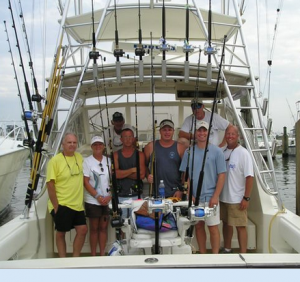 Fishing charters of all duration and size are a must for anyone without a seaworthy boat. All of this can make salt water fishing seen more difficult or expensive than its worth. Check on the reviews of charter boats. Fishing tidal waters or the open ocean takes planning and experience. Research places where you plan to fish for the first time. Decide if you really need to buy equipment for a week’s vacation to the shore. Will you be fishing off a dock or jetty? Will you be surf casting. If you will be using bait, what should you buy? What kind of lure should you be casting? Not only do you have to think about the fishing equipment that will work where you plan to fish, but you need to consider personal comfort. Ocean fishing can get cold. What kind of clothing will you wear. Do you get seasick to the point that you need to take something before going onto a boat? Will you need a chair? Do you need a license? Do you have a reservation for the boat for the day and time you want to fish. Ocean fishing can be a big undertaking, but its fun. If you haven’t fished salt water, give it a try, but plan ahead. 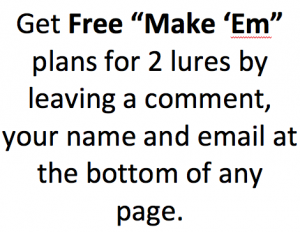 Add a comment,on the home page, about a charter boat or fishing Captain gave you a great day of fishing. Write a few words about a memorable fishing experience. This is something I really want to try. I’ve done all the estuary and beach fishing, as well as rock fishing and fishing from a boat in calm waters, but I’ve never tried deep sea fishing. Really going after the big game fish. Some good tips here and you are feeding me with inspiration to actually get out there and go after the bigger fish. Thanks for commenting. You just have to choose a good charter boat if you don’t have a boat of your own. You can usually pick between half day or full day trips. Of course, the species you catch depends on where you fish.